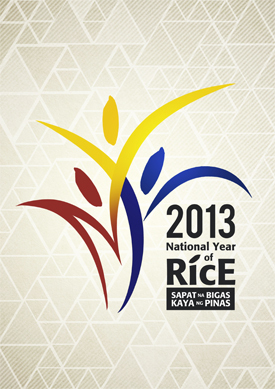 League of Cities of the Philippines - It is the National Year of Rice 2013! 4. Incorporate local NYR advocacies during local festivals and celebrations. For further details and other reference materials, visit www.nyr2013.com or www.facebook.com/NationalYearOfRice . You may also call PhilRice at (044)- 456-5390 and look for Mr. Ash Canilang.